srcvinyl Releasing ‘Walk Hard: The Dewey Cox Story – The Original Motion Picture Soundtrack’ For First Time Ever on Vinyl on November 24; Now Available For Pre-Order – Ouch That Hertz! srcvinyl will release Walk Hard: The Dewey Cox Story – The Original Motion Picture Soundtrack on vinyl for the first time ever, on November 24. The LP, in both limited edition red and clear vinyl, is now available for pre-order here. The 2007 Columbia Pictures comedy starred John C. Reilly as the larger-than-life, legendary musician and songwriter Dewey Cox. 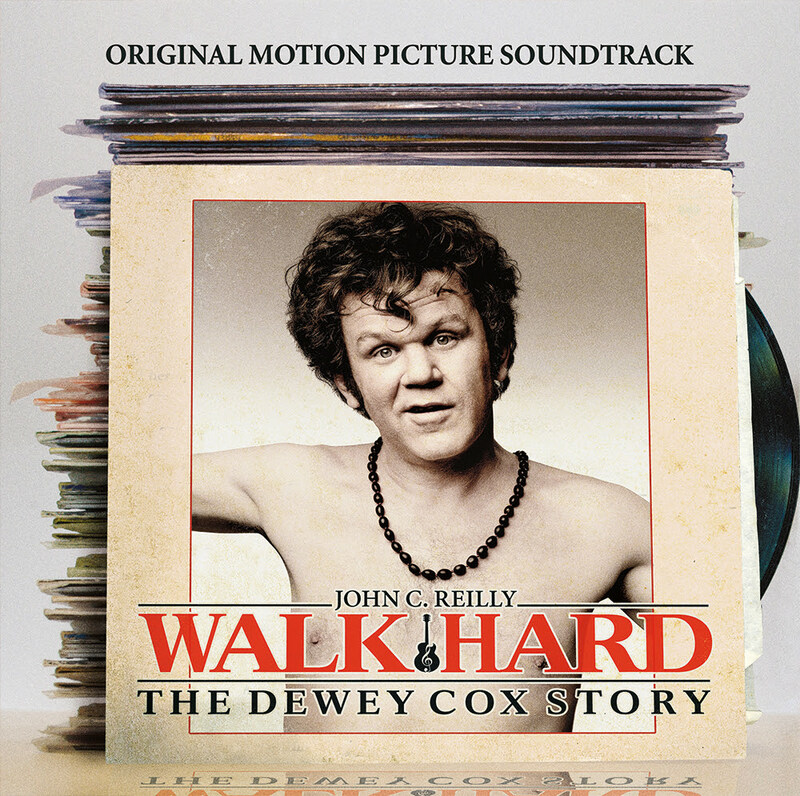 From the comedic minds of Judd Apatow (Talladega Nights: The Ballad of Ricky Bobby; Anchorman: The Legend of Ron Burgundy) and director Jake Kasdan, a new music legend in Dewey Cox was born and now, for the first on vinyl, the songs of Cox’s fabled career are brought together on one album: Walk Hard: The Dewey Cox Story – The Original Motion Picture Soundtrack. The soundtrack features a sampling of Dewey Cox’s greatest hits, spanning over five decades of his musical history. Once Apatow and Kasdan had conceived the ideas for a lifetime’s worth of songs, album producer Michael Andrews tapped some of America’s top tunesmiths, including Van Dyke Parks, Dan Bern, Mike Viola, Charlie Wadhams, Antonio Ortiz, and Marshall Crenshaw, to write the new classics. All 15 songs are performed by the Academy Award-nominated actor John C. Reilly as Dewey Cox.